Gavin completed the best final round with a 65. A remarkable comeback trailing over 9 strokes.Starting final day. 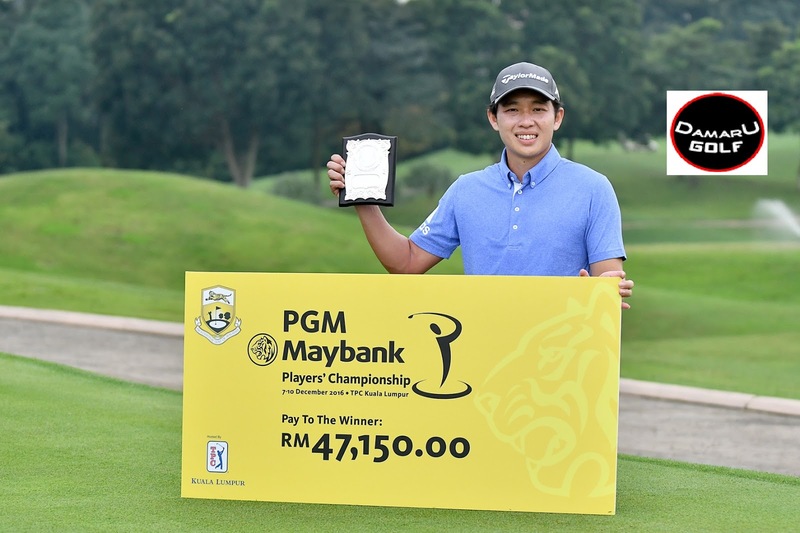 In a roller coaster day Ben Leong secured himself a place at next February’s Maybank Championship, an event on the European Tour. 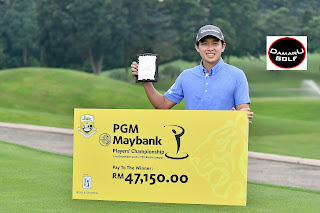 Leong, who came into the fourth and final round of the Professional Golf of Malaysia (PGM) Maybank Players Championship at TPC Kuala Lumpur today with a nine-stroke lead, stumbled to a three-over 74 and with Gavin Green shooting a 65, the top-two went into a playoff, which the former won. Green was assured of a slot at the Maybank Championship, following an announcement by the sponsors last week. Leong, who nailed down his fifth title of the season with the win today and his fourth on the trot, was one-over after the first nine, having birdied the 8th hole, only to sign for a double-bogey at the next. On the other hand, Green went five-under over the front nine, which meant he had chipped away six strokes by then. By the time Leong dropped further back with bogeys at the 14th and 16th holes, and Green had birdies at the 15th and 16th holes, they were tied on 17-under. And that’s how it finished in regulation, both with 267 totals. But when Green found the water on the first extra hole and Leong parred it, the latter earned his slot at the Maybank Championship. Indeed, it was fitting that the player who won at the Impian Closed Championship, the Orna title, the PGM Indonesia Golf Tour Championship and the Tiara crown should win again at the season-ending event. “Ben played good golf over the first three days - 64, 64 and 65 - and while he hit a couple of stray shots coming down the home stretch, all I could do was try my best, and that’s what I did. “I gave it my best shot but came up just short,” added Green, who is a Maybank ambassador, hence his invitation to the Maybank Championship. Kim Leun Kwang was third, a massive 10 strokes off the top two on seven-under 277, while amateur player Daeng Abd Rahman gave notice of what he is capable of when he carded a fourth day six-under 65 and finished fourth. Rizal Amin had a 71 and 280 total in fifth place, with Arie Irawan (72) sixth, another two strokes back on 282. Airil Rizman (72) was seventh on 283.